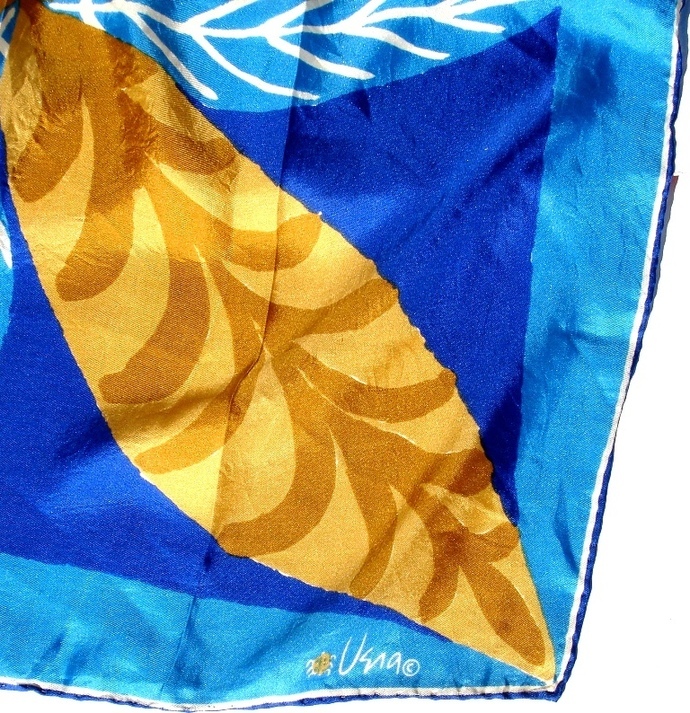 Shades of blue background Vera scarf features mod stylized large leaves in gold with brown vein accents and blue with white vein accents. Scarf has a thin border accent of white and a dark blue handrolled hem. This lovely scarf also has the much sought after ladybug symbol along with Vera's signature. 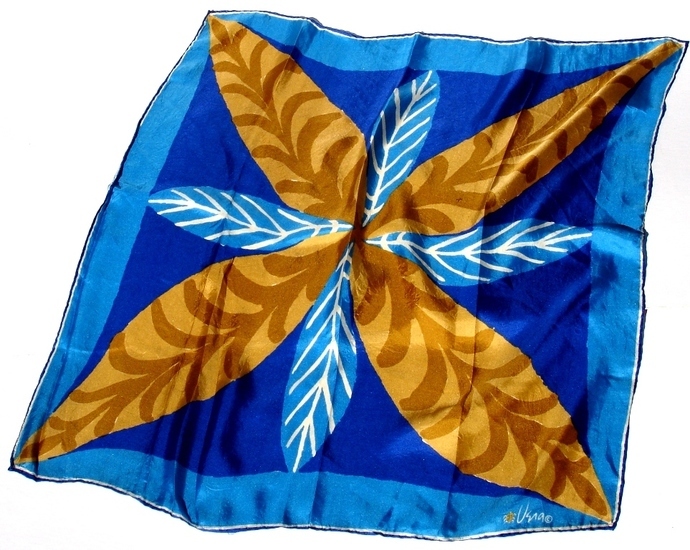 This Vera scarf measures approximately 22" square and is in very good condition for its age. It's only flaws are a couple of pin holes and a small dent in the fabric within one of the gold leaves, but none of these flaws would be noticed while wearing as they are only visible when held up to a bright light while looking for flaws. 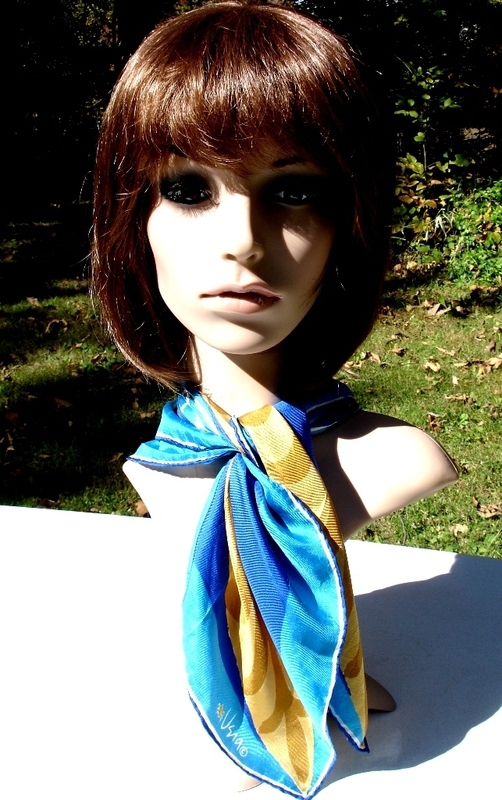 This beautiful Vera Neumann Shades of Blue With Gold And Brown Leaves Ladybug Scarf will ship USPS Priority Mail with Delivery Confirmation. This is a vintage item and as such can be expected to show some signs of normal wear. Thank you.